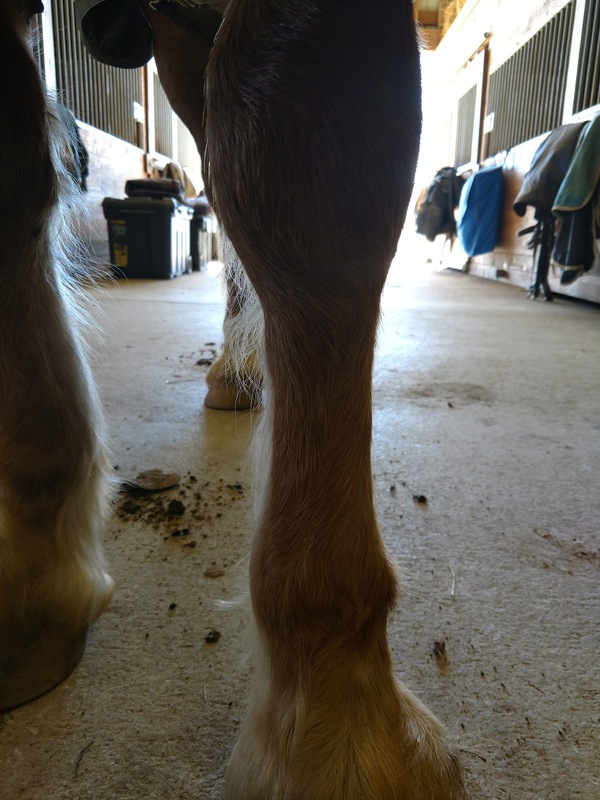 Any Welsh Cob owner is familiar with "is it hair or is it a splint?" all winter long. Pretty impossible to see anything under those feathers, so you get very used to running your hands down legs every day. 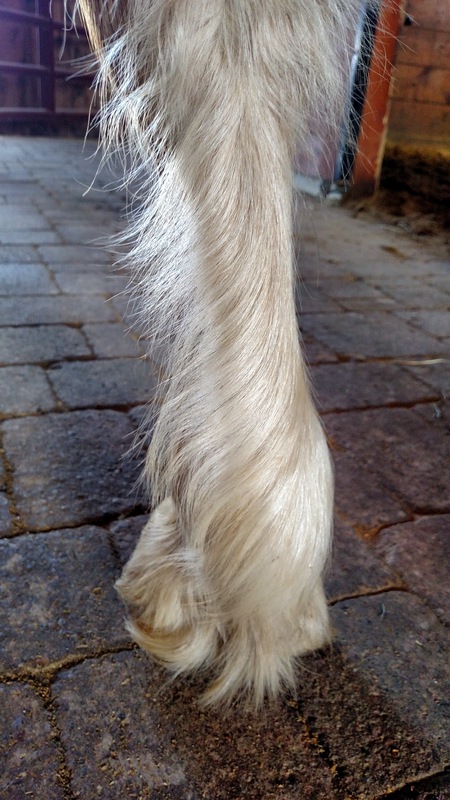 On Sunday, I didn't see anything, but when I ran my hand down his leg like usual, I felt something. This is completely mystifying to me. I didn't feel it the day before, or any other day, although I won't rule out missing something that small before his feathers started shedding out. He's never taken a lame step. It's hard and cold and doesn't palpate sore in the least. Maybe it was caused by turnout shenanigans? 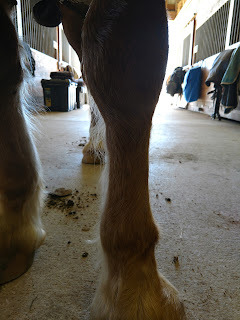 At the end of the day, it doesn't really matter since he's not lame on it, but for a horse that never gets injured, it's surprising and makes me feel like I should have prevented it somehow - even though I know splints just happen. Splints are so weird. I knew one horse that went lame for MONTHS when he popped a splint, and another who popped 2 in a week and never took a lame step. Bobby popped both his fronts at the same time and was sore-ish for a day or two then went about his business like nothing had happened. Follow that path, Connor! Good to know! This is so weird - I'm used to the ones that pop and make them lame for a bit and get hot before calcifying, but this one seems to have skipped steps 1-3 and went straight to step 4. Once they're calcified and hard you don't need to do anything for them. Bummer on the scratches - Desitin is a life saver if you haven't tried it! Not sure if they are preventable but glad he's not off on the leg at all. I bought Ramone with a ugly splint, he had never taken a lame step, no one knows when he got it, by the time I sold him it had reabsorbed. Connors will probably be gone before you know it! Bailey showed up with a splint this time last year, and it was hard and cold and has spent the last year getting slowly smaller (with no care) but is still a bump. I hope Connor follows suit and has the least exciting splint experience ever. Yeah Rosemary has one. We think she did it running crazy cob laps. Ughhhh. Let's hope they text each other about being sound forever next!